Want it by Thursday 25th April? Order within 1 day, 23 hours, 28 minutes and choose Royal Mail Tracked 24 Hour at checkout. We have added the new Gant YC. Slim Fit Chino to our Spring / Summer collection. 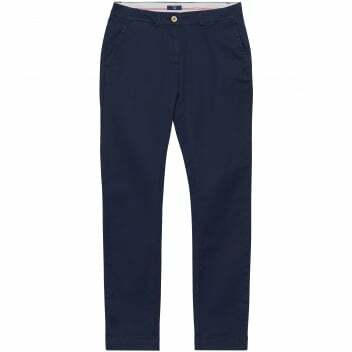 The ladies Gant Chino features slanted front pockets with two contrasting buttons to secure the back pockets. The stylish Chino also features a woven Gant label which completes the garment to an exquisite standard.